Venerable Sujatha Thero has got the title as ' Rajakeeya Panditha' where he has excelled at the 'Panditha' exam. Ven Sujatha Thero has also got his BA and MA degrees in Sri Lanka. On the invitation of ASLBAC, Ven. 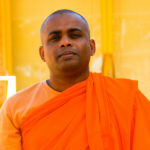 Kotapola Upali Thera, arrived at the Sri Lanka Buddhist Vihara, Canberra on Friday 28 October 2009 as the Resident Bhanthe. Ven. 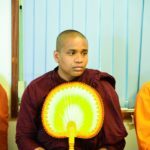 Upali Thera was ordinated on 27th June 1992 as a student of Ven. Madihe Pannasiha Mahanayaka thero and Ven. Ampitiye Sri Rahula thero at the Maharagama SiriVajiraganna Dharmayathana . Ven. Upali thero received the higher ordination at Maharagama SiriVajiraganna Dharmayathana Seema Malaka, on 30th July 1995. On the invitation of ASLBAC, Ven. Kumbuke Visudhi Citta Thera, arrived at the Sri Lanka Buddhist Vihara, Canberra on Wednesday 12 October 2011. On the invitation of ASLBAC, Ven Wanduradeniye Somissara Thera, arrived at the Sri Lanka Buddhist Vihara, Canberra on Saturday 27 November 2010. On the invitation of ASLBAC, Ven. 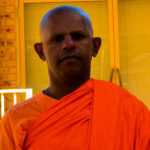 Errawala Sudhamma Thera, arrived at the Sri Lanka Buddhist Vihara, Canberra on Wednesday 12 October 2011. Ven. Saranankara Thera was fully ordained in 1985 in the Asgiriya Chapter in Sri Lanka. He is skilled in writing on ola leaf manuscripts. The Venenerable Thera is a trained teacher in English Medium. He was the English teacher at the Aluvihare Central College and was the Principal of the Buddha Ghosha Sunday Dhamma School. This school conducts dhamma classes in both mediums under the advise of Ven. Saranankara Thera. Ven Saranankara thero serve as the resident Bhanthe of temple from 16 November 2007 to March 2009.